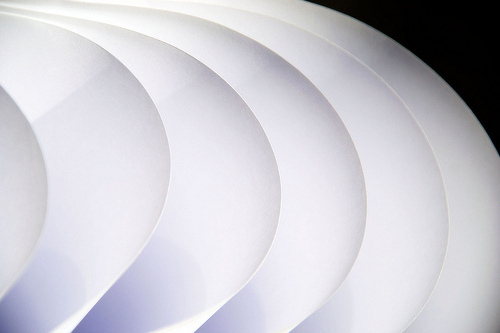 Do you use white papers in your content marketing strategy? Are you aware of the many benefits of using white papers? A white paper is a really powerful marketing tool. Many people think that it can only be used to generate leads, but actually there are several other benefits of writing and using a white paper in your inbound marketing and content marketing strategy. This is probably the most popular benefit of using a white paper. As they contain both educative content in the form of a long magazine article and direct marketing material in the form of a corporate brochure, they have a high conversion rate. The combination of learning followed by persuasion makes them one of the most powerful marketing tools available. A white paper doesn’t have to always be used for generating leads. It can also be used to spread expertise and build a better brand image. At the end of the white paper, instead of writing a persuasive brochure you could write a short description of your company. This will help people understand what your company does and allow you to display your credentials and expertise in your field. These types of white papers which contain very little promotional material can also help generate leads indirectly as it will showcase your expertise and establish you as a leader in the field. And as we all know, people like working with experts. Usually building a mailing list can be a very hard task. Convincing someone to sign up to your newsletter simply to receive updates doesn’t get many takers. But if you give away a free gift in exchange for a sign-up, that can help you get many more subscribers. So if you have a white paper, you can use it as a free gift which will be made available to people after signing up to your newsletter. If you want to get many people to subscribe by using this method, you need to make sure that the subject of your white paper is relevant to your blog and contains something that interests your audience. You also need to make sure it’s unique and contains quality information as people will only want to read it if they think they will learn something special from it. Another way you can use your white paper is to get “likes” on your Facebook page. In the new Facebook timeline, they have got rid of the landing page, but not of fan gating. You can now gate your content in the tiny tabs below your cover image. You can place a message in this tab letting your page visitors know that they can get the white paper but only if they “like” your page. You can also place a sign-up form in this tab so that people can subscribe to receive it after they have “liked” your page. This way you will not only get a lot of “likes”, but you can also build on your mailing list. These are four powerful ways in which you can use your white paper. Each of these methods can help you increase traffic, build relationships, spread expertise, increase social proof and generate leads. So make sure you use them all and get the best out of your white paper. Now it’s your turn. Are there any other benefits of writing a white paper? Have I missed them? Please leave your comments in the comments box below.